Heat exhaustion and heatstroke are two potentially serious conditions that can occur if you get too hot.They usually happen during a heatwave or in a hot climate, but can also occur when you’re doing very strenuous physical exercise. Heat exhaustion is where you become very hot and start to lose water or salt from your body, which leads to the symptoms listed below and generally feeling unwell. 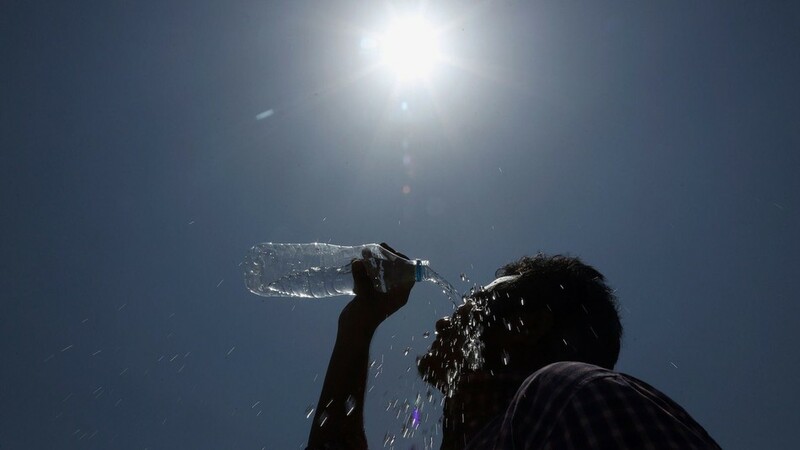 Heatstroke is where the body is no longer able to cool itself and a person’s body temperature becomes dangerously high (sunstroke is when this is caused by prolonged exposure to direct sunlight). Wear loosefitting & lightweight clothing. Wearing excess clothing or clothing that fits tightly won’t allow your body to cool properly. Sunburn affects your body’s ability to cool itself, so protect yourself outdoors with a wide-brimmed hat and sunglasses and use a broad-spectrum sunscreen with an SPF of at least 15. Apply sunscreen generously, and reapply every two hours — or more often if you’re swimming or sweating. Staying hydrated will help your body sweat and maintain a normal body temperature. Take extra precautions with certain medications. Be on the lookout for heat-related problems if you take medications that can affect your body’s ability to stay hydrated and dissipate heat. Never leave anyone in a parked car. This is a common cause of heat-related deaths in children. When parked in the sun, the temperature in your car can rise 20 degrees F (more than 6.7 C) in 10 minutes.It’s not safe to leave a person in a parked car in warm or hot weather, even if the windows are cracked or the car is in shade. When your car is parked, keep it locked to prevent a child from getting inside. Take it easy during the hottest parts of the day. If you can’t avoid strenuous activity in hot weather, drink fluids and rest frequently in a cool spot. Try to schedule exercise or physical labor for cooler parts of the day, such as early morning or evening. Limit time spent working or exercising in heat until you’re conditioned to it. People who are not used to hot weather are especially susceptible to heat-related illness. It can take several weeks for your body to adjust to hot weather. Be cautious if you’re at increased risk. If you take medications or have a condition that increases your risk of heat-related problems, avoid the heat and act quickly if you notice symptoms of overheating. If you participate in a strenuous sporting event or activity in hot weather, make sure there are medical services available in case of a heat emergency. If you take precautions and know the warning signs, you generally can prevent heat stoke. If you experience any of these symptoms, get out of the heat quickly and rest in a cool, shady place. Drink plenty of water or other fluids containing sugar and salt. Do NOT drink alcohol; that can make it worse. If you don’t feel better within 30 minutes, contact your doctor. If heat exhaustion isn’t treated, it can progress to heat stroke. Heat stroke is much more serious than heat exhaustion — it can kill you. People with heat stroke may have seizures or go into a coma and most also have a fever. If you suspect heat stroke,call doctor immediately,Move the victim to a cooler location, remove heavy clothing, fan the body and wet it down with a cool sponge or cloth, and encourage the individual to drink cool fluids.